Van Egmond Cocoa Shells is a natural soil improver to embellish and enhance the top layer of the soil. Also, it deters cats, snails and weeds alike, it prevents the soil from quickly dehydrating, and has a high nutrient content. After applying a layer of approximately 4 cm thick and first watering, moulds will develop. These are harmless moulds that will disappear within 1 to 4 weeks. It will ensure the Cocoa Shells stick together and do not blow away in the wind. 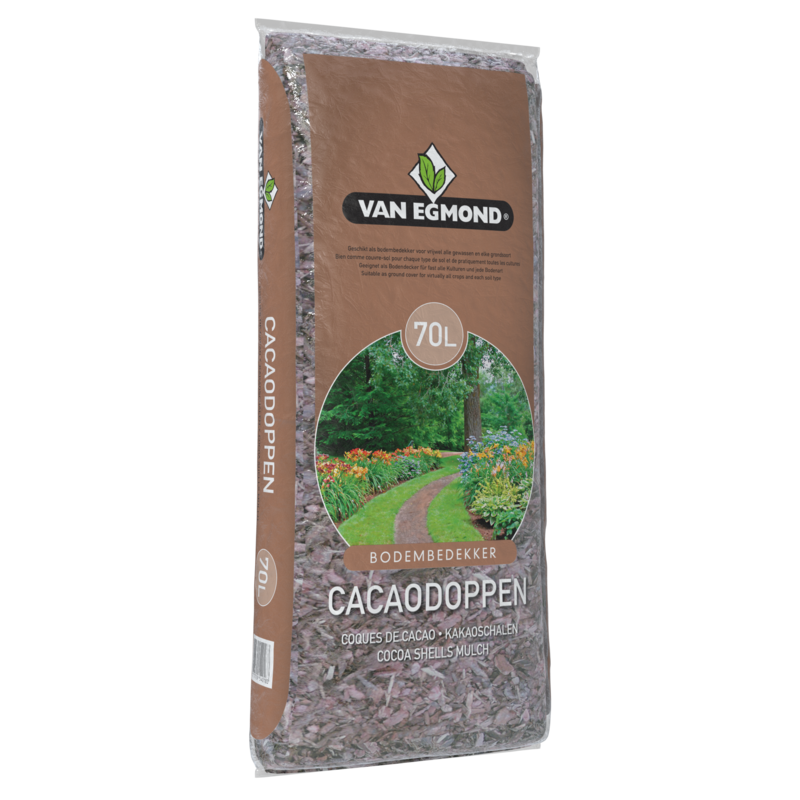 Van Egmond Cocoa Shells are available in bags of 70 litres. Order cocoa shells directly through our order form!